You are a small digger, and you have decided that things would change. You are in a trolley and you launch your grappling hook in order to get the gold nuggets and precious stones. 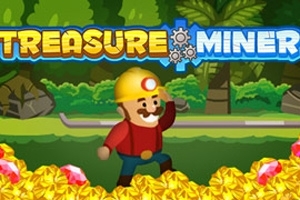 This game is kind of a Gold Miner. You have to find enough gold before the time runs out to move to the next level. To throw the grapple, you have simply to tap the screen. Between two levels, you have access to a shop full of valuable objects, but also very expensive.